Catvinkle is used to being top cat, completely pampered by Mr Sabatini the barber. So she is horrified when Mr Sabatini brings home a wide-eyed, lost Dalmatian named Ula. Soon Ula is warming herself by Catvinkle’s fire. 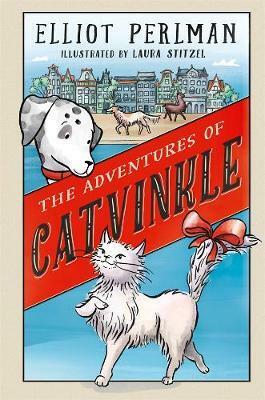 To her surprise, Catvinkle likes the innocent, trusting Dalmatian, and she finds herself telling Ula her three secrets. But a cat and a dog can’t be best friends - can they? Catvinkle must choose. Will she be brave and join her new friend on a mission to help two sad children, even if it means visiting the biggest, scariest dog in Amsterdam? Or will she leave Ula to face the danger alone?